I finally found a way to cook with coconut flour that doesn’t require using a million eggs! The trick is to use psyllium husks – yup, the stuff in Metamucil. When you combine psyllium with a little liquid and allow it to sit, you get a thick goop. Including it in grain-free baked goods adds excellent structure and holding power to the final product. If you like, you can make the muffins more orangey by adding a teaspoon of freshly grated orange zest to the batter. Candied orange peel and dark chocolate chips also make good additions, but keep in mind that the muffins will no longer be free of added sugars if that’s important to you. I used pear sauce in this recipe because I like the way pears’ slightly floral flavor complements the taste of oranges. If you don’t have access to pear sauce, unsweetened applesauce works great, too. You can use water, nut milk or soymilk as a substitute for the orange juice. The muffins will be slightly less sweet. In one bowl, mix the pearsauce, orange juice, psyllium husks, oil and orange extract. Let stand 5 minutes. In the other bowl, mix the chickpea flour, coconut flour, cocoa powder, egg replacer, baking powder and salt. Mix together the psyllium mixture to the flour mixture, stirring until just blended. Grease or line the muffin tin and divide the batter among the muffin cups. Bake at 350°F for 25-30 minutes, or until a toothpick inserted in the center of a muffin comes out clean. Thanks! Let me know if you try making them and how they turn out! Thanks! 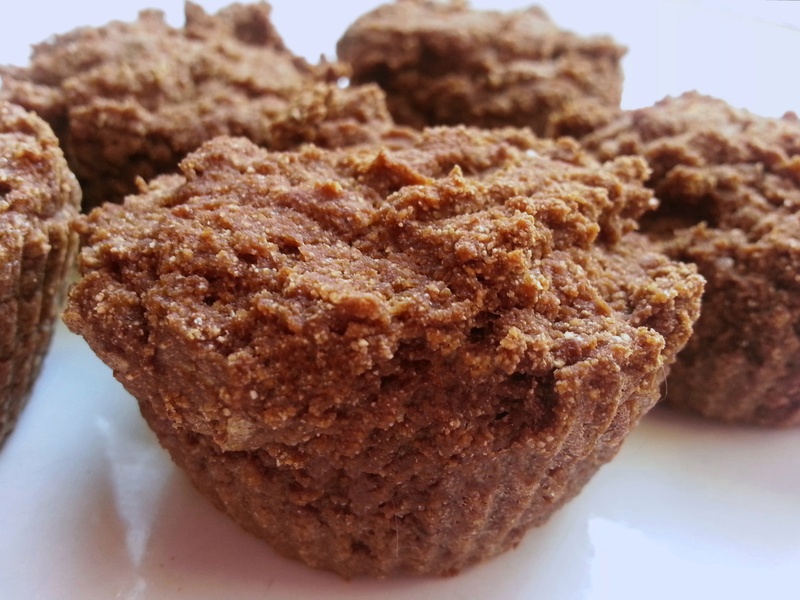 I'd used psyllium husks in cookies many times before, but using them in muffins was pretty new to me. They don't provide leavening, but they really are wonderful for texture.